Are you looking for a rat and mice exterminator on the East End for your home? Let Twin Forks Pest Control assist you with our proven rodent removal techniques for your home. Spotting mice or rats in your house can be a harrowing sight for any homeowner. It’s even worse when you spot the damage or the droppings of these unwanted visitors rather than seeing the perpetrators themselves. We understand your frustration and feeling of helplessness in these times, but we want to assure you that the pest removal team of Twin Forks Pest Control can help solve your problem quickly and effectively. How much does it cost to get rid of a rodent infestation? Twin Forks Pest Control rodent extermination Long Island costs about $400-$800 for an average sized home. This will include multiple visits within the first month and use different methods to control problem to ensure your Long Island home is rodent free after our services. How do rodents get your house? Cracks and crevices in walls, floors, and foundations, or any small or large gaps around the exterior foundation by water pipes, electrical wires, windows, and doorways. What attracts rodents to a house? Rodents will be attracted to houses for food, shelter, and protection from predators. How do I get rodents out of a wall? Unfortunately cutting sheet rock open and removing by hand is the best method. This is an extremely hard decision for both the homeowner and technician. What is the best method of dealing with a rodent infestation? Act fast and start a pest control program with Twin Forks Pest Control. This along with good sanitation practices such as cleanliness, waste and trash management, avoiding clutter (which removes harborage and hiding places), and removing any possible food source. 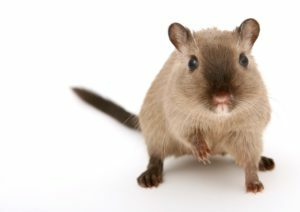 Is rodent extermination safe? Yes, our trained professionals will evaluate the problem and the proper methods for each individual situation. All of our extermination practices are pet and family safe. How do I prevent rodents from entering my home? Close up any cracks and gaps around home or business, and maintain home cleanliness and good sanitation practices. Why should I hire a professional exterminator instead of doing it myself? Our professionals have not only years of experience but also the correct tools for Long Island rodent extermination. Not every job is the same so some methods work and others don’t. Knowing the correct treatment is extremely important to a successful job. How do I prepare for an exterminator coming to my house for a rodent infestation? Mentally prepare for a technician do an inspection all over the house to find and locate areas of infestation. Will be going in the basement, crawl spaces, under sinks, closets, draws, bedrooms, attic and around the exterior foundation. How can so much trouble come from something so little? For starters, rodents reproduce very quickly and this makes for some inherent problems if you suspect an infestation. 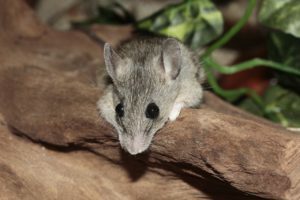 For mice, females start mating at around 4-7 weeks old and once pregnant will take only 3 weeks to have a litter. Each litter can contain up to 20 pups and because females can start breeding only one day after giving birth, they can have about 15 litters a year. A telltale sign that you have mice that are going to have a litter soon is that you find chewed up cardboard boxes throughout your home. While many homeowners think this is mice looking for food, it’s actually the pregnant female looking for any soft material to make a nest to have her litter. Rats take mating to another level entirely. According to Live Science, female brown rats (those most common on Long Island) can mate about 500 times in a 6-hour period. Their gestation period lasts for about 3 weeks as well and afterward can have anywhere from 7 to 22 pups per litter. It takes only about 3 months for females to reach maturity to be ready to mate. Considering the average lifespan of a rat is about 2.5-3 years, a typical female can have up to 40 litters in their lifetime. This rate of reproduction among a rat population in your East End home can be a huge problem if not treated quickly. Rodents are an issue because of the diseases they can carry. While a relatively clean creature in nature, suburban and urban mice subside on anything they can get a hold of. They are also a main form of transportation for fleas and ticks which can carry infectious diseases themselves. 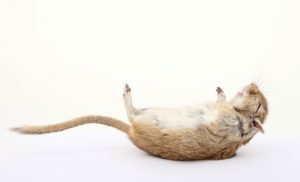 Factor these facts with the alarming rate of reproduction these rodents have and it becomes clear that you need your rodent problem handled immediately. If you suspect you have a rodent infestation in your Eastern Long Island home, don’t wait! We’ve helped hundreds of homeowners throughout Long Island rid their property of rodents so they can live with the peace of mind that they won’t have vermin crawling through their walls. When we visit your home we will look for common entryways into your house to try to spot where rodents are making their nests. Once we do this, we incorporate a systematic combination of baits and traps to attack mice and rats both out of their nests and internally among groups. Our techniques have proven success from our previous clients and we want to help rid you of your problem too. If you need rodent extermination services in your home, please call any of our regional numbers or fill out our contact form for a free estimate. We will be ready to help you set up an appointment for one of our team to come to your house to inspect and eliminate your rodent infestation.